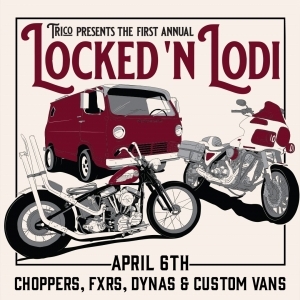 Event Description Coming this spring to Central California’s city of Lodi, is an outdoor invitational motorcycle and van show. We are amazed at the length builders will go to create a working machine as unique as they are. This show will feature running Choppers, FXRs, Dynas, and Vans. Our mission is to connect motorcycle and van builders, enthusiasts, passerbys, local small businesses, vendors and sponsors, and to do that this show will be free for all ages to enter. Check out our website for complete information and give us a follow on Instagram for updates. We are actually closing down a couple city streets for the show. but its looking like the main entrance will be W Pine St & S Sacramento St, Lodi Ca 95240 from 10am to 7pm. Followed by a DicE Party at Know Place - 17271 Bruella Rd, Victor, CA 95253 - till close or the beer is gone.